BUTUAN CITY, June 23 (PIA) – President-elect Rodrigo Duterte will deliver the keynote speech at the 25th Mindanao Business Conference (MinBizCon) on August 24-26, 2016 at the Philippine Gateway Hotel in Surigao City. Surigao Chamber of Commerce and Industry (SCCI) president and conference director Concepcion Paqueo bared that this year’s MinBizCon will be even more significant as it marked the 25 years of incessantly pushing forward the development of Mindanao "and we welcome the first Mindanaoan President, Rodrigo Roa Duterte, who will grace the event as our keynote speaker." “At the end of his talk, we will endorse to Pres. Duterte the Mindanao Business Policy and Program Agenda containing the urgently needed business policies and actions targeted to spur inclusive socio-economic development in Mindanao,” Paqueo added. She further revealed that this blueprint, which was drafted through a series of consultation with the stakeholders around Mindanao will serve as the private sector’s input to the government’s six-year Mindanao Development Plan. Surigao Chamber of Commerce and Industry (SCCI) president and conference director Concepcion Paqueo highlighted that Mindanaoans are celebrating the silver anniversary of MinBizCon in the country’s mining capital – Surigao del Norte in Caraga region. The three-day conference will be held at the Philippine Gateway Hotel in Surigao City. “This year’s theme underscores the conference’s objective to tackle business issues and policies that undermines development, identify solutions to address these bottlenecks and pass appropriate resolutions aimed to position Mindanao as the next growth area in the ASEAN. This Mindanao Policy and Program Agenda will then be endorsed to His Excellency Rodrigo Duterte as input to the six-year Mindanao Development Plan,” Paqueo reiterated. It was also learned that around 800 -1,000 delegates which comprise investors, business leaders, policy-makers, dignitaries and Cabinet Secretaries of the new administration, micro/small/medium enterprises, Chambers of Commerce and Industry in Mindanao, industry players, mining companies, contractors, and heavy equipment companies and other allied services, and business professionals and students are attending the said conference. BUTUAN CITY, June 22 (PIA) – The Caraga Conference for Peace and Development (CCPD), in cooperation with the 4th Civil Military Operations Battalion (CMO), Philippine Information Agency (PIA) Caraga and Mindanao Development Authority (MinDA), sponsored the Media Fellowship Night on Monday at the Bishop’s Home in Ampayon, this city that gathered local journalists to share a gesture of camaraderie among themselves. Rev. Fr. Carlito Clase welcomed the friends from media and expressed his gratitude to its partners for the incessant support to CCPD's programs. He further addressed the media guests that apart from delivering news as journalists they have to consider themselves evangelizers and stewards of truth through unbiased slant of presenting viewpoints. Meanwhile, PIA Caraga regional director Abner Caga underscored in his inspirational message the significant role of media as stakeholders in pursuing peace and development. He meant to inculcate in the minds of every journalist to put a heart in their chosen profession and reserve sensitivity in treating issues in the community. Also, as one of the lead convenors of Caraga Conference for Peace and Development, Bishop Juan de Dios Pueblos of the Diocese of Butuan stated that he is fully supportive to the call of President-elect Rodrigo Duterte that all mining companies operating in Mindanao must be stopped. Pueblos said mining destroys the country’s resources and Filipino communities are at the losing end. “I am in strong support to environmental preservation including the stoppage of mining activities in the region, and for everyone to enjoy something better in life, one must stay positive in the things he/she do. Peace and development is achievable by working hand in hand,” he added. BUTUAN CITY, June 23 (PIA) - A group of farmer-beneficiaries in the province Agusan del Norte received a total of 73 hectares of land titles during the kick-off ceremony of the annual celebration of the Comprehensive Agrarian Reform Program (CARP) held at Robinsons Place. Department of Agrarian Reform (DAR) Caraga regional director Julita A. Ragandang and Provincial Agrarian Reform Officer Andre B. Atega of DAR Agusan del Norte personally handed-over the certificate of land ownership awards to the beneficiaries. Ragandang said that DAR has committed to ensure positive gains in the fight against rural poverty of all agrarian reform beneficiaries in the region. BUTUAN CITY, June 23 (PIA) - The city government here is now preparing for the turnover ceremony of the outgoing and incoming administrations set on June 30, 2:00 p.m. at the city hall lobby, said City Administrator Atty. Reggie Mag-usara. Mag-usara said it will be a simple but meaningful turn-over ceremony where the outgoing mayor Ferdinand M. Amante Jr. will give a valedictory speech while the incoming mayor Ronnie Vicente C. Lagnada will give his acceptance speech. Basicially, the turn-over program will be short emphasizing on the quick turn over rather than the speeches of the incumbent and the incoming mayor, Mag-usara said. Meanwhile, outgoing Sangguniang Panlalawigan (SP) members will also be given the floor to deliver their valedictory address if they so desire during the last regular session of the Sangguniang Panglunsod of Butuan on June 28. 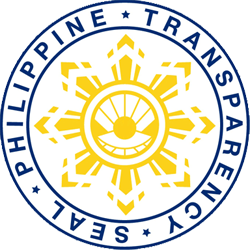 This is revealed by SP Secretary Aurora M. Caballes saying that the last session will be held at the New SP building at 2:30 p.m.
CLAVER, Surigao del Norte, Hunyo 23 (PIA) - Bag-ong natukod nga mokabat 20 ka mga klasroms sa Cagdianao Elementary School naablihan na bag-ohay pa lamang. 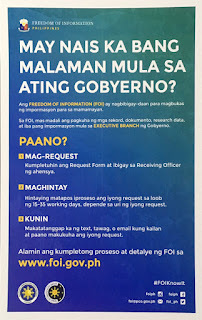 Gibisitahan ni Gobernador Sol F. Matugas uban ni Congressman Francisco T. Matugas ug sa Team Capitol ang maong tulunghaan atol sa ika- 57th Araw ng Cagdianao nga nagdala sa temang, "San Juan nga Magbubunyag, Kabahin sa Kalambuan sa Katawhan nan Cagdianao" niadtong Hunyo 21, 2016, ning probinsya. Ang maong nasangpit nga mga lawak tulunghaan kantidad P20 milyones gipatukod kini sa THPAL Mining Corporation ubos sa ilang Social Development Management Program (SDMP) diin pipila sa maong mga lawak tulunghaan adunay aircon. Sa iyang mensahe si Gobernador Matugas miingon nga iyang paningkamutan nga matukoran ug highschool ang maong barangay tungod kay gusto man sa mga katawhan ug aron usab dili na moadto pa sa layong lugar ang mga estudyante nga buot mo eskuyla sa highschool. Samtang sa iyang bahin nalipay og dako si Punong Barangay Redemer Gabunada sa gihatag sa gobernador nga P1milyon alang sa dugang pang mga proyekto sa ilang barangay. Sa susamang adlaw, mibisita usab ang gobernador uban sa grupo didto sa bag-ong Material Recovery Facility (MRF) ug Ecopark sa lungsod sa Hayanggabon. Mapasigarbuhon nga gipalantaw ni Punong Brgy. Rito Placensia ang maong pasilidad nga adunay bio-reactor nga makahimo og organic fertilizer ug uban pang kahimoan sa maong MRF. BUTUAN CITY, Hunyo 23 (PIA) – Sa tumong nga mapalambo ang abot sa mga mag-uuma sa probinsya, ang lokal nga panggamhanan sa Agusan del Norte maghatag og mga farm mechanization equipment ug facilities ngadto sa mga kwalipikado ug lehitimong farmers association aron mas mamaayo pa ang dagan sa agrikultura sa probinsya. Tulo ka rehistrado ug lehitimong farmer association sa probinsya ang andam nga moimplementar sa maong programa isip mga benepisyaryo niini. Una mao ang Lekda Higaonon Farmers Producers Cooperative nga makadawat og 2 units verme tea brewer, 1 unit corn sheller ug multi-purpose drying pavement with mini warehouse. Ang E. G. Montilla Farmers Association makadawat usab ug 1 unit corn sheller ug ang Tinocuran Green Kalikasan Farmers Association makadawat og 1 unt corn sheller. Gihatagan sa Sangguniang Panlalawigan og otoridad si Provincial governor Ma. Angelica Rosedell M. Amante-Matba nga mopirma sa Memorandum of Agreement (MOA) tali sa tulo ka farmers association aron mapadali ang pag-implementar sa among programa.